'Spirits are high and the artist is on the path to a swift recovery,' but former Smiths frontman Morrissey has postponed his first Canadian tour in more than a decade due to a medical emergency. Morrissey has postponed the kickoff of his first Canadian tour in more than a decade. According to a statement issued this weekend, the postponement is "due to a medical emergency stemming from an accident" Morrissey had while travelling in Europe, and that all tickets will be valid for the new dates. "Spirits are high and the artist is on the path to a swift recovery," Ticketmaster said. The website also indicates that a show set for Edmonton this Thursday has been rescheduled for October 10. The show scheduled for Calgary on Wednesday is listed as "TBA." It's not clear what this means for the shows originally scheduled for Saskatoon (Apr. 20) and Winnipeg (Apr. 22) later this month. Those dates are no longer listed on Ticketmaster's website, nor on Morrissey's tour website. 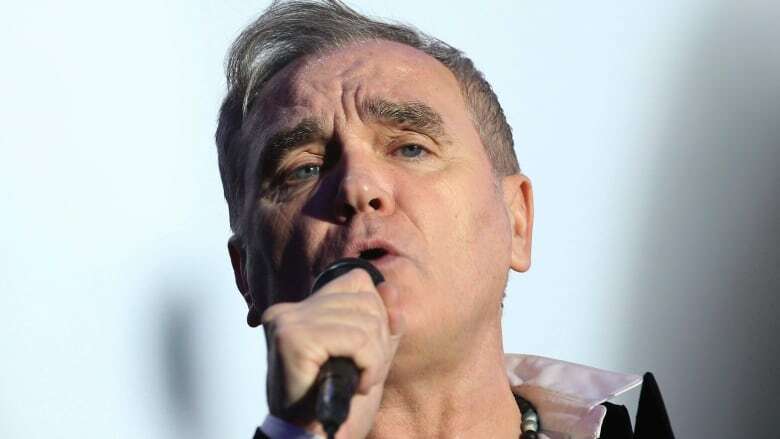 The appearances were to be Morrissey's first since he began a boycott of Canada almost 15 years ago, vowing to skip touring the country until the annual seal hunt was banned. When he announced the tour dates last fall, he vowed to make donations to local animal rights groups in each city. Last week, he wrote to Canada Goose calling on the Canadian clothing brand to remove fur and feather from its products.